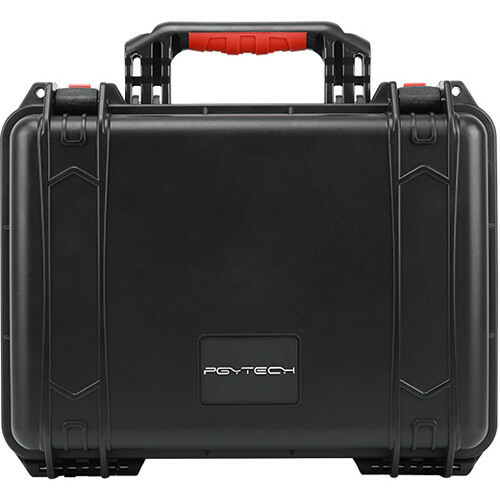 Designed highly protective inside and out, the PGYTECH Safety Carrying Case for DJI Mavic 2 & Smart Controller securely packs the drone, controller, four batteries, charger, charger hub, propellers, filter sets, and associated drone/controller accessories. The case features plastic shockproof lining, a stainless steel reinforced padlock, and a waterproof and breathable pressure balance valve that balances altitude and temperature changes caused by differences between internal and external pressures. The case is suitable for -13 to 194°F conditions.